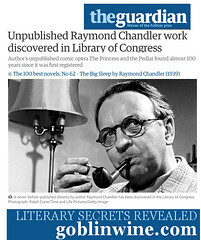 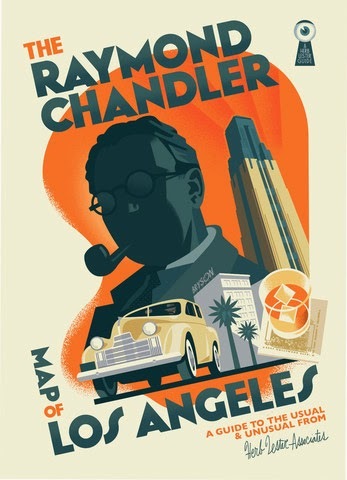 The Workman & Temple Family Homestead Museum in the City of Industry is hosting a Birth of Noir book club series early next year, and I'm very honored that The Kept Girl is sandwiched between two giants in the genre: Dashiell Hammett's The Maltese Falcon and James M. Cain's Double Indemnity. 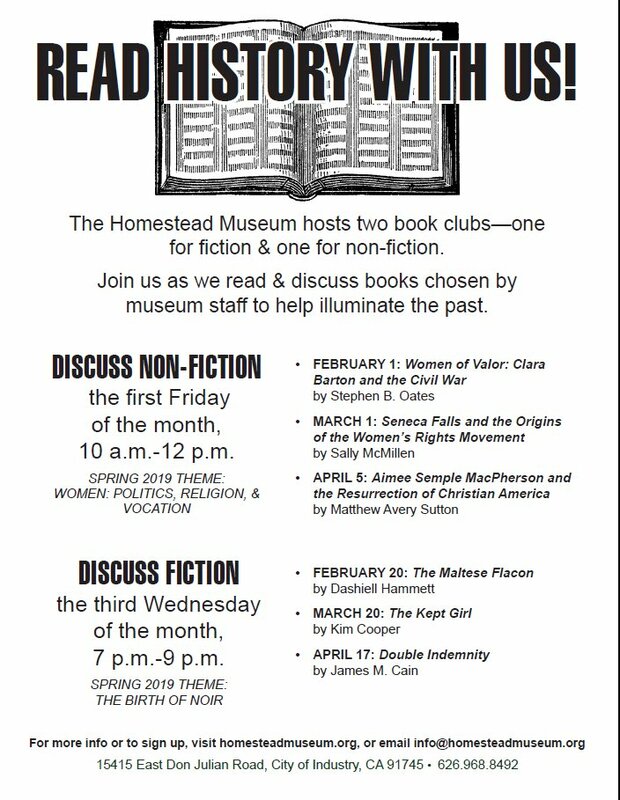 Here's a link to the Facebook event page. 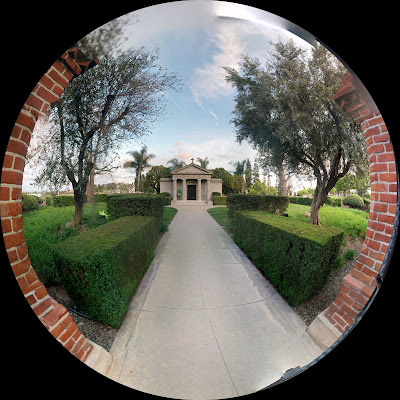 Hammett and Cain are regrettably indisposed, but I'm always keen to visit the Homestead Museum, home of two historic houses and a marvelous walled Victorian private cemetery where Pio Pico spends eternity (above). 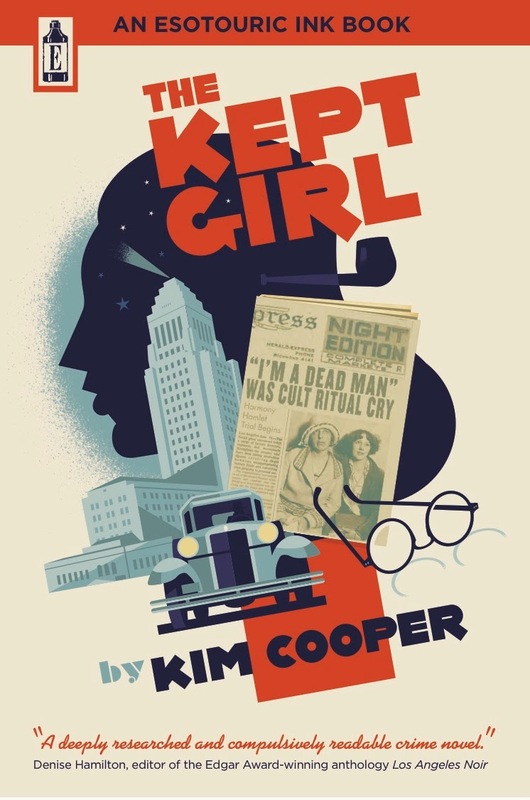 So my husband Richard Schave and I will be attending the March 20, 2019 Homestead Museum Book Club meeting on The Kept Girl, to answer questions about the book and the Raymond Chandler bus tour that inspired it. 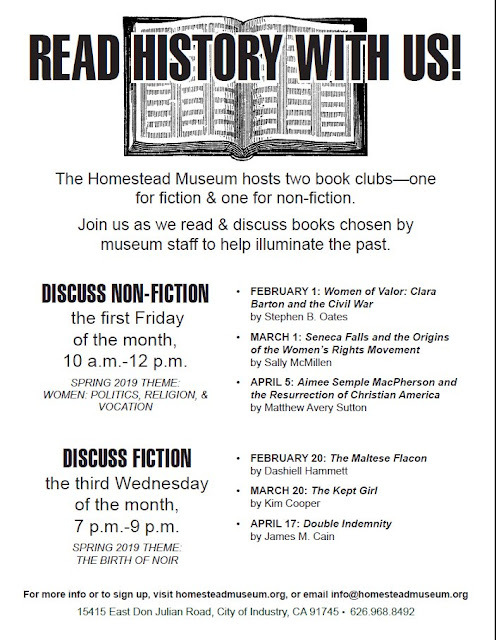 Perhaps you'll join the club and soak up some new and classic noir fiction, and we'll see you there.